Fibble is another one of those physics-based puzzle games that have been swarming the App store since the release of the most popular game in the genre, Angry Birds. But after hearing that Crytek were the one that developed this game, I set aside whatever plans I had and proceeded to play this game day and night to see what kind of presents they offered, compared to other games that fall into the same genre. You take control of an extraterrestrial that has crash landed into a house on Earth while at the same time, becoming separated from his crew. While roaming around the house it has landed on; it goes on a small journey to search for his missing friends and once they are found, they assist you by allowing you to roll around the levels with their unique abilities. Roll around as much as you want! Fibble relies heavily on physics based mechanics. The general way to play is to pull back, aim which way you want to go and release to let it go. It will then roll around the level following a route and bump into walls, and as mentioned Fibble’s friends will help change the direction, jump or give a speed boost to reach areas in a level that are inaccessible without their help. Even being a casual puzzle type game, it still makes someone play this game for hours trying to figure it out. As you progress, the levels become more complex as you try figure out the best route to complete the challenge. Placing friends that has been discovered in specific locations is already a tough task to overcome before actually rolling around to reach the goal and thereafter rolling away to the next level. 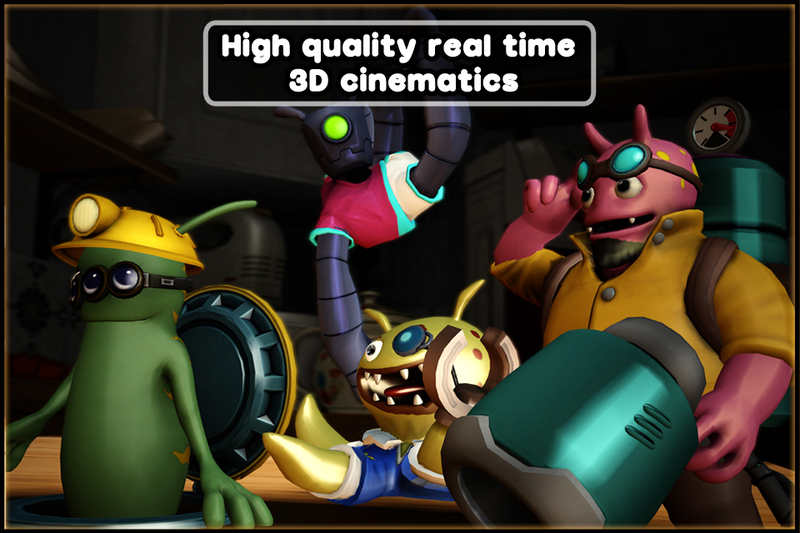 The game contains vibrant graphics that is easily appreciated especially on a retina display, with real time 3D cinematics which tells the story of how the little alien guest finds his friends in somebody’s kitchen or bathroom. Each character is unique by making them distinct with their colours and features. 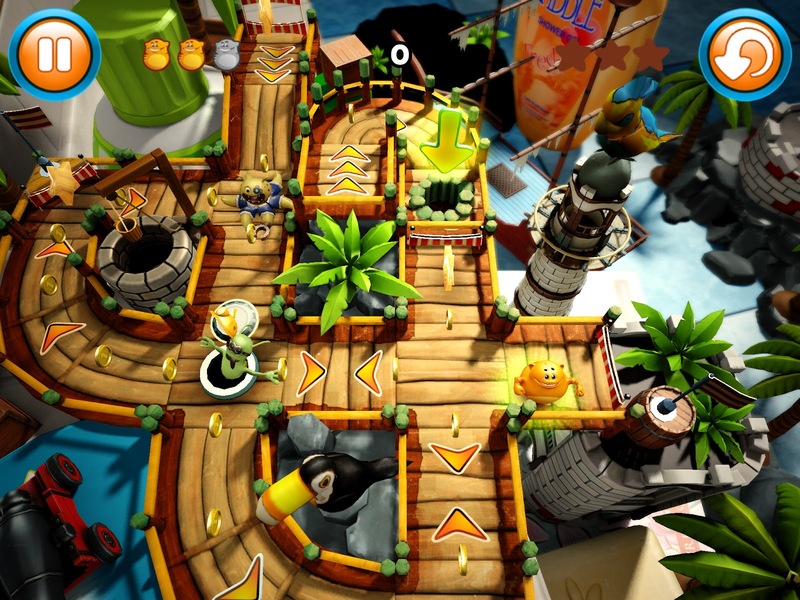 Levels are supported with detailed life-like 3D assets that are visible in the background, despite the cartoony 3D graphics on the characters. Navigating around the user interface is simple and buttons are very easy to spot but background images are detailed to make sure it still pleases our eyes. Crytek tried dipping their toes in physics-based IOS games with their unique gameplay and it has gained major attention. With their flick and roll gameplay, this game will have you playing for hours figuring out ways to advance to the more complex level designs it has to offer. Crytek is still working on more levels to roll on and hopefully more Fibble friends to be introduced. 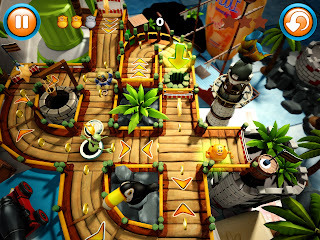 People who liked Angry Birds and Cut the Rope will like enjoy Fibble just as much.